This shed was specifically built so the client could continue to practice her trade as a customer jewellery maker, on a smaller scale. 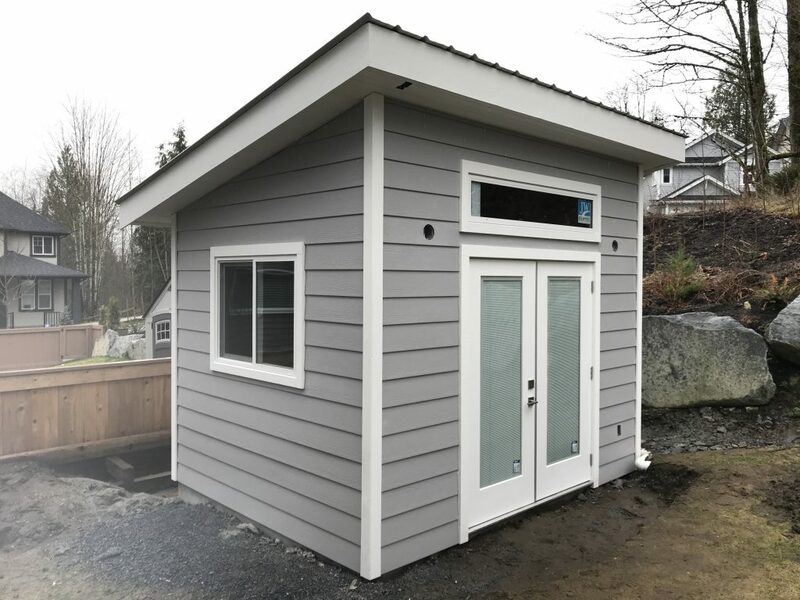 This shed has long lasting fibre cement siding, two windows and a set of French doors to allow for lots of natural light for the work space. 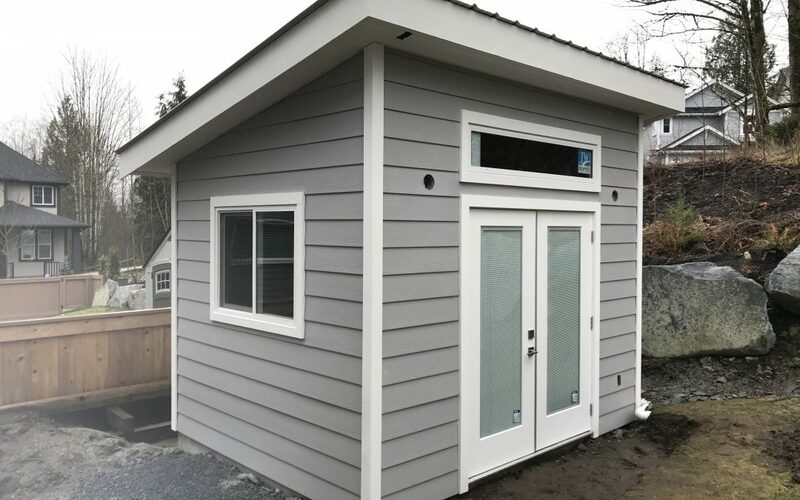 The shed is also has heat and electricity, and is suitable for year round use.